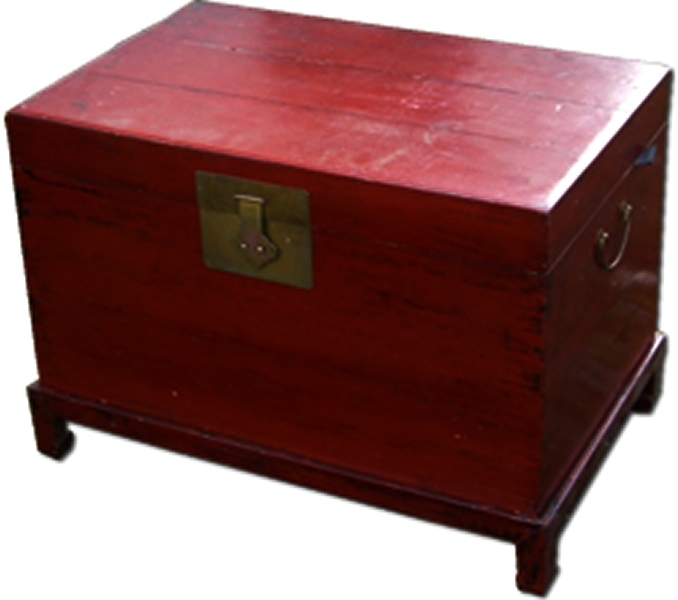 This beautiful little chest is practical and decorative and ideal for the contemporary home. It has sturdy brass handles on each side and a brass lock on the front. Ideal for storing blankets and quilts and would suit a bedroom or hallway. Alternatively it would look lovely at the side of a sofa with a lamp on top. It has an understated elegance with a hint of the Orient. It has gorgeous red lacquer finishing which contrasts so well with the brass fixings. We have two available and they make a gorgeous pair.